It is an obligation to get a health insurance for foreigners if you are going to stay in Turkey more than your country visa allows. And if you are going to stay more than 90 days in Turkey you need residence permit. Let`s read how many options we have then you can ask your questions by emailing us. 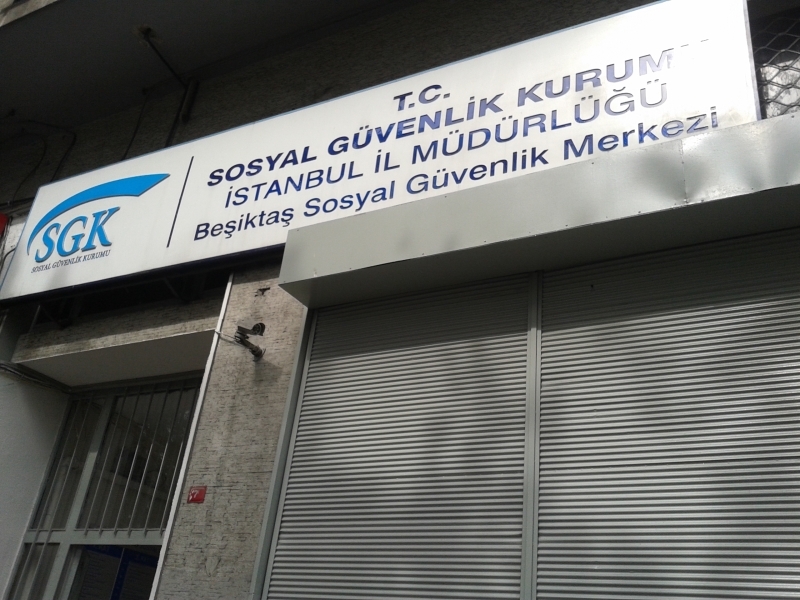 If you have a formulary "Medical Assistance Entitlement Certificate" indicated below, please give one copy to the Istanbul Social Security Directorate in Unkapanı. The Social Security Directorate/Center will give a paper in return. Give the copy of your formulary and the paper given by the Social Security Directorate Center to Police at your appointment as your Health Insurance. You can go to Unkapanı by bus and you should get off at Vefa Bus Stop. Near Vefa Bus stop (Balat side), you will see SGK Building like in the picture on the left below. We know, it says Beşiktaş but you should not go to Beşiktaş. Beşiktaş building is under construction so they moved it to Unkapanı, Fatih district. You get in the building and go to 3rd floor. 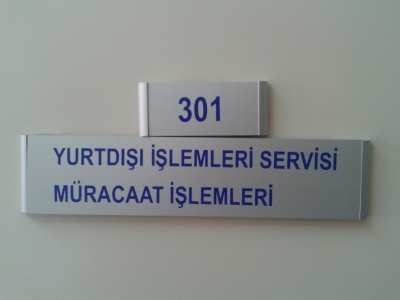 Then directly you should go to office 301. The guy will help you for your papers and he is asking also your father name and birth place (on your passport if you have please note it down as same). And you should be careful that your expire date of your insurance shall be longer than expected expire date of your residence permit. If you can provide this expire date at your public insurance you have to get a private insurance. You can get private health insurance at our office. After you have a paper from 301, you are going to 302 to get paper for "İkamet Tezkere Yazısı". You get into 302 and ask to officer which officer you should go. He will direct you to right officer according to your Surname. The officer prepare you a Turkish Paper and you will take it to the chief officer get his sign and turn it back to the officer you get that paper. S/he will give your "İkamet Tezkere Yazısı" and Congratulations you have insured by SGK!!! Save this paper and add to your documents. You have to get a private insurance if you are getting a residence permit. You can get private health insurance from our office in Taksim in one hour if you bring your original passport with you. We are also arranging your health insurance dates according to optimum dates of your status. So your residence permit validation will not be less than you expect. These fees are one year long health insurance. It is not possible to prepare less than 12 months for this type of insurance. If you want to get residence permit you need this type of health insurance. We are readytoanswer your questions regarding residence permit healt insurance. Our office is in Taksim and one street back of Istiklal Avenue.